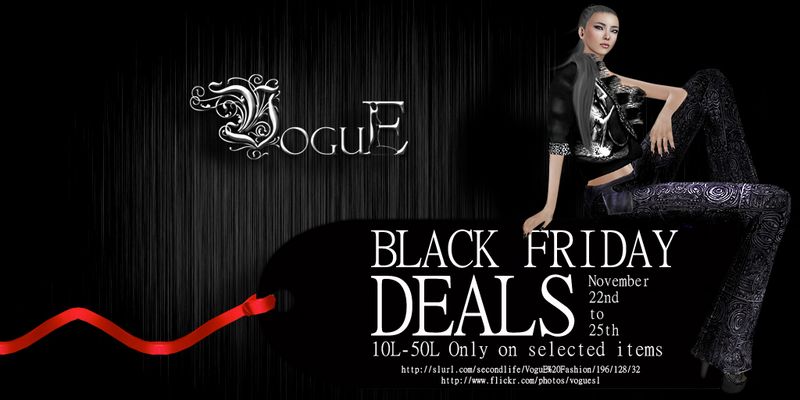 *VoguE* Fashion: Black Friday Sale! Join us at *VoguE* Mainstore. where we have five casual outfits and five formal outfits on sale, ranging from 10L - 50L. Sale runs Thursday November 22 through Sunday November 25. HURRY!